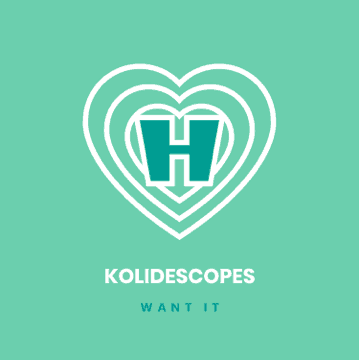 Dance duo KOLIDESCOPES release their latest single Want It this February on newly launched label Humble Angel Dance: a sun-bleached, vocal house anthem primed to set airwaves and playlists alight. KOLIDESCOPES are Australia’s Johnny Castro and the UK’s Dan Dare. Released last year, their single ‘All My Love’ proved an international hit, sitting pretty in the top 10 Upfront Club Charts, peaking at #6. Their first release of 2019 is Want It: a melodic, intricately textured, synth-led anthem that’s tailor-made for the pool parties of Miami and summer season to follow. Before forming KOLIDESCOPES with Dan, Johnny was one half of electro pop duo Parachute Youth whose platinum-selling ‘Can’t Get Better Than This’ reached the #1 spot in nine countries worldwide. Dan’s entry into the industry was as a member of grime’s Gritty Committee before adopting the SLANG moniker under which he produced ‘Bright Lights’, a collab between Wiley, Giggs and Juelz Santana. More recently under the name Dan Dare, he’s produced hits for the likes of Charli XCX, Marina & The Diamonds and WSTRN. As KOLIDESCOPES, they’ve already made a name for themselves with their deeply hazy house anthems, characterized by supple, chugging basslines, evocative vocals and sparsely beautiful synthlines. Want It is the first in a series of singles from KOLIDESCOPES, with further releases planned throughout 2019. Buy/stream it here.